Plastic FIlms like many things, trade off one property at the expense of another. If polyethylene film has not been your life, take 2 minutes to learn the 101 for background. It seems intuitive that a resin which is very viscous ( hard to push ) is going to be strong. An extreme example is the resin used to make Tyvek and those t shirt bags the greens love to hate. It is forty times harder to push than your garden variety bread bag resin. Strong, but not clear. At the other extreme, a hot melt resin which is 700 times less resistant to flow than bread bag resin has no strength. Density derives from crystallinity. At the upper extreme, high density ( HDPE ) is very stiff ( think milk carton ) and requires a lot of heat to get it to flow into the mold. At the lower extreme ( VLDPE and ULDPE ) it takes minimal heat to initiate a seal because of low heat resistance and minimal crystallinity. Even metallocene http://www.brentwoodplastics.com/metallocene is not exempt from these laws. These factors must be considered when sealing film from one blown film extruder to another. It's a wild-card scenario. If the 2 resins are too dissimilar they will not seal. The new film is always blamed for poor seals. If there are bad seals, no problem. Don't pay for it. There are plenty of other places to get film. Creep is the tendency of a material to flow in the solid state. Wikipedia defines it more accurately as deformation http://en.wikipedia.org/wiki/Creep_(deformation). The rate of deformation is time and temperature dependent. No surprize there. Viscosity, or how resistant a material is to flow dictates how susceptible it is to creeping ( think molasses vis a vis kerosene ). 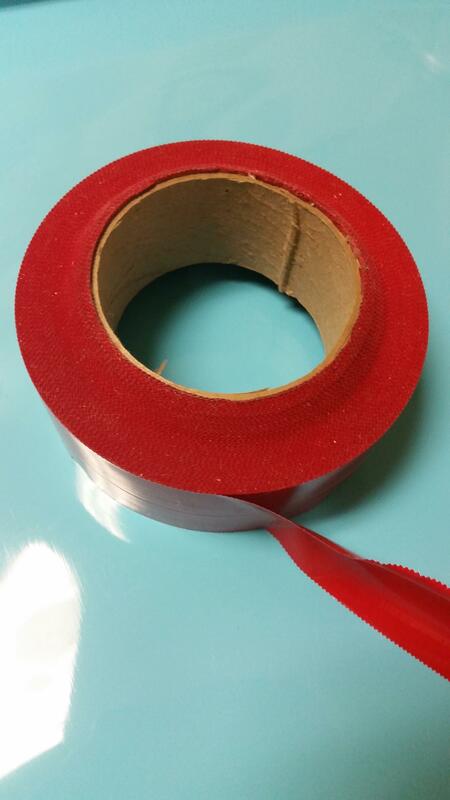 An example we have all encountered is old pressure sensitive tape. The side of the roll is tacky and the roll exhibits dishing, or "telescoping" if it has had continuous pressure on it. The adhesive has flowed, albeit slowly. Some tapes require a separator sheet made from release liner to keep the sides of the rolls from sticking together. As creep applies to polyethylene, higher density PE is more rigid and not prone to distortion due to heat and pressure. Linear low density polyethylene ( LLDPE ) is more susceptible to creep than conventional PE especially at lower densities. Back in the early days of LLDPE, it didn't take long for shipping sack manufacturers to learn that the laws of physics imposed limitations on downgauging, or thickness reduction. The bottom layers of pallets of mulch and soil bags under 3 mils actually ballooned over the side of the pallets, making them inaccessible to forklifts.